Addiction is one of the most difficult and devastating things on the planet. It's not something that ever discriminates, either. Addiction can happen to anyone, end of story. It doesn't matter how rich or poor an individual may be. It doesn't matter what a person's faith is. It doesn't matter what a person's ethnic background or race is. Addiction is a scary beast that doesn't take economics, religion, cultural background or anything else into consideration. If you suspect someone is addicted to alcohol or drugs, there may be some clues to look for to confirm your suspicions. An individual who has an addiction to alcohol or drugs may not be able to sleep soundly at night. They may get into frequent financial trouble despite working full-time, indicative of a hard drug habit consuming their money. Unexplained weight loss and diminished personal hygiene are also signs of addiction. There will never be a "good time" for knowing when you need to find a drug detox program for a friend or loved one. 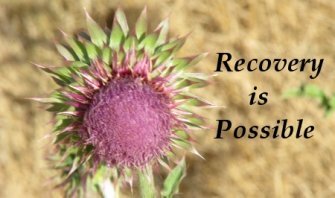 But if recovery is to have any hope of success, the person has to admit to themselves they have a problem with drugs or alcohol. There are many different kinds of addictions out there besides those to drugs and alcohol. People can get addicted to eating. They can get addicted to eating specific types of foods. Some people develop addictions that involve excessive sugar consumption. Other possible additions include those to gambling, pornographic content, and shopping. People deal with their impulses in many different ways. Some people try to deal with stress and uncertainty by seemingly drinking their pain away. Others try to cover up their stresses by masking them with retail therapy. Some people attempt to run away from their problems by gambling with substantial sums of money. It can sometimes be difficult to identify a person who has an issue with addiction. For example, if you have a sister who has a shopping addiction, she may spend an inordinate amount of time surfing online retailers. She may spend a significant amount of time at the local shopping mall. She may use so much money that she's unable to pay her bills and rent. This is a clear warning sign. Addiction is an issue that can pop up in people of all different age groups as well. It regularly affects teenagers and younger adults. It frequently affects senior citizens too. You should never ever assume for a second that a person is too old or too young for addictive behaviors. Making any kind of assumption can be quite a risk. If you assume that an individual isn't vulnerable to addiction, that can stop you from trying to help. Addiction can be distressing for a variety of reasons. It can hurt people's' jobs, educations, families and social lives in general. It can harm their interpersonal relationships. It can often even lead to extensive financial problems. There are so many diverse facets to addiction. The more clearly you understand them all, the better. People should make a point to learn about the pitfalls of addiction.